Massive CW for fertility, pregnancy, hysterectomy. Brace yourselves, kids. This one’s getting personal. As you may know from recent posts, my formerly tentative diagnosis of adenomyosis is now officially confirmed. Unlike my endo, which showed up on precisely no scans ever, my adeno showed up loud and proud at the top of my uterus on an MRI. 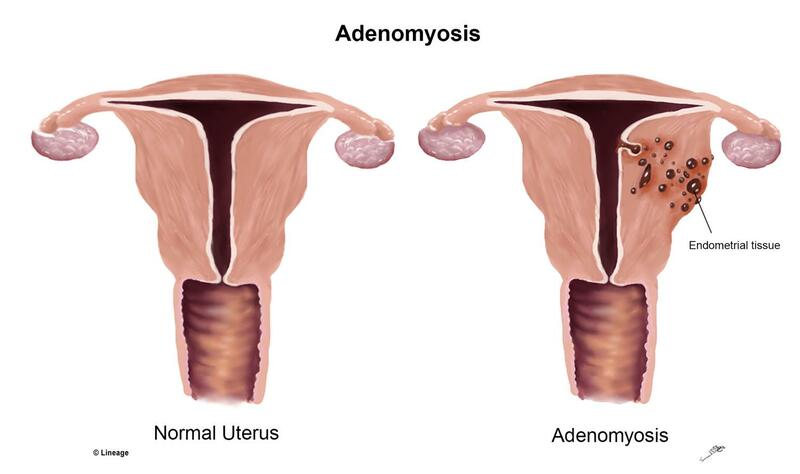 I’ve talked before about what adenomyosis is and how it differs from endometriosis. The biggest difference for many is that adenomyosis can be cured by a hysterectomy, which endometriosis cannot. That’s kind of what I’m getting at with this post, but also not. It’s the results of that dissimilarity that has been the biggest difference for me. For the first time, I’ve had to think really seriously about what I want from my future. I’ve flirted with the idea of children before. I mean, I am married, and in my late twenties, so it is something that many people would assume is the next natural step for me. I’ve kind of always assumed I would end up with children, because it’s what you do, right? You grow up, you meet a nice boy, you get married, you have two and a half children and a white picket fence. The circle of life, etc. At the same time, however, I have never been overly maternal. I don’t get clucky when I see a baby. I’m not all get-it-away-from-me – I can hold them competently enough, and I can entertain children for a few hours (it literally used to be my job, after all), but I never really felt the need to have one myself. Add to that the fact that there are so many children in need of a good home, that our planet’s population is increasing at a rapid pace, that I could potentially pass these awful diseases onto a daughter, and that I really resent the idea of taking yet another hit to my career and to my body when both have already had to endure a great deal, and children just never became an immediate priority. There’s also the fact that I’m terrified of pregnancy and childbirth. It looks hard. It makes your ribcage expand. All these awful words like “episiotomy” and “tearing” get tossed around. The thought of losing bowel control in front of a bunch of strangers, and worse, in front of my husband, also doesn’t appeal. It’s undignified and painful, and I’ve had enough of both. But now I have adeno. As long as I had endometriosis I knew that I would have to make a decision on the topic at some point, because endometriosis *may* have an impact on my fertility. My original plan of leaving it to my thirties was not one that various doctors have encouraged. Still, I assumed I had time, and that at some point down the track some sort of maternal instinct might kick in, or I might at least feel a bit ready. It hasn’t to date. With adeno, however, suddenly the possibility of an outright cure is being dangled in front of my nose like a very shiny carrot. One operation – albiet a serious one – and my pain could be gone. My endometriosis is being managed so well by Dr Edi-Osagie that for the first time in years, the prospect of a fully pain-free life seems within my grasp. Of course, if I have a hysterectomy, then it is bye-bye to the prospect of biological children. Yes, adoption is an option, but let’s not pretend that it is easy, cheap or inevitable (multiple chronic illnesses tend to count against you in the assessment process, I do believe). So now I have yet another of those awful choices that endo and adeno leave you with – do I endure the pain for longer, and potentially experience more when my contraceptive devices are removed, in the hope of conceiving a child, or do I jump at the chance of a cure right now and lose the choice forever? If I chose the first option, how long do I wait? I always wanted to be financially stable before bringing a child into the world, and I’m not badly off, but I’m not where I would ideally like to be. I wanted to be further into my career. I wanted to have travelled more. I wanted to do a lot of things that endo has prevented me from doing, but that a child will also make more difficult. I wanted to feel more ready, more sure. It’s such a big decision – is it fair for me to be making it with even the slightest doubt in mind? What do you do when you have doubts about either option? Is it fair of me to put my husband through this? I’m already a bit of a burden at times (many times). My pregnancy could be really difficult and make it even harder on him. He’s self-employed where as I have a stable income – there’ll be an additional financial pressure on him. If I do successfully carry to term – let’s not forget that miscarriage is a heightened risk for women with endo – will I be able to recover from the birth easily, or will my health struggle like it does with everything else? What if I’m a terrible mother and my child grows up to be an incel or something? Ok, I’m less worried about that last one. On the flip side, I don’t know if I’m ready to lose that choice. When I bake a cake or read a great book or see a fantastic movie, I think, “I want to share this with a child someday. I want this to change them the way it has changed me.” I want to share these things with a younger generation, and it’s at the moment it’s not likely I’ll get to do that in a “cool aunt” capacity. Either way, it is a huge decision, and I’m wrestling massively. I think I have decided, but I keep flip-flopping. Whatever I end up doing, though, I resent the adenomyosis for forcing me to make this decision before I am ready. I resent the endometriosis for stealing away my chance of doing all the things I wanted to do as a young married couple before I had children. I resent that being a chronically ill woman is littered with such awfully difficult choices. Have any of my readers faced this decision? Were you ambivalent about children? What were your thought processes? I am so keen to hear from anyone in a similar situation.